It’s Time D-Heads! This week we go into the future and get shrunk down to the size of a leprechaun with BRIAN TO (Honey I Shrunk the Audience Attraction, Celebrity Photographer, Director). 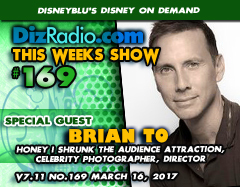 Brian stops in and celebrates St. Patrick’s Day with us by discussing this long lost attraction in Honey I Shrunk the Audience, his fondest memories, photographing celebrities, directing, what he is doing now and more. 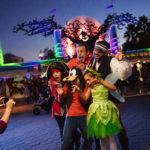 In addition no show is complete without the D-Team and Paige is here with the magic for your ears in the Magical Music Review and Domenic may be stuck without power in a snow storm but he still let’s the dogs out as he brings you an all-new Disney’s Short Leash. We have Cody taking a stroll on the Hollywood Walk with more about Brian To and you have the questions and Erin has the answers in I Want To Know. And for the latest from the Walt Disney World Resort we have Caitlin here with WDW-in-2. And Jason is here digging deep into The Vault with another Blu-Ray and DVD you have to add to your collection. 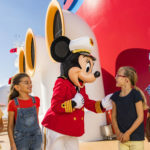 There is news fresh off the D-Wire with the latest news on Walt Disney World, Animal Kingdom, Beauty and the Beast, Walt Disney Records, Disney Channel, Baymax, Interactive Disney Character Robots, Mickey Mouse, Goofy and more.